Temple Beth Or had its beginnings just 32 years after Alabama was organized as a territory and barely nine years before the War Between the States began. From a small group of committed Jews came this dream of a congregation, an organization that would provide unbridled freedom for religious expression, to be not only Jews but to be Jewish. This congregation has survived and prospered through national and international conflict, agricultural boom, financial failures, droughts and prosperity and prides itself on its past history and its dedication to the future. There were only a few Jews in Montgomery in 1846 who, recognizing the need for some means of caring for the sick and needy, organized Chevra Mevacher Cholim, a Sick and Burial Society. Its primary purpose was to minister to the sick and to watch over and bury the dead. Each member took turns performing these acts of mercy and in seeing that Jewish customs were properly observed. This group also held religious services on Friday evenings, Saturday mornings and High Holy Days. Services in the mid 19th century were Orthodox. Men and women sat apart. Men covered their heads and wore tefillin (small leather cases containing texts from the Hebrew Scriptures traditionally worn on the forehead and the left arm by Jewish men during morning prayer). High Holy Days services were not only attended by Jewish members of Montgomery, but by Christian neighbors as well. People came from as far as Selma and Tuskegee to observe the religious rites and learn more about their Jewish brethern. This friendly relationship between Jews and non-Jews continues to be a source of pride for Montgomerians. In 1852, although still very few in number, our founders saw the need to strengthen their Judaism and formally formed a congregation, Kahl Montgomery. With the help of a bequest of $2,000 they purchased land and in 1862 completed a temple later named Beth Or, House of Light. Located in downtown Montgomery on the corner of Church and Catoma Streets, it is listed in the National Registry of Historic Places and still stands today serving as a church. In a most joyful celebration of its roots, the congregation worshiped there during its Sesquicentennial Celebration in the Spring of 2002. By 1870, the congregation had grown considerably. Ritual changes continued to occur. Men and women no longer sat in separate sections. 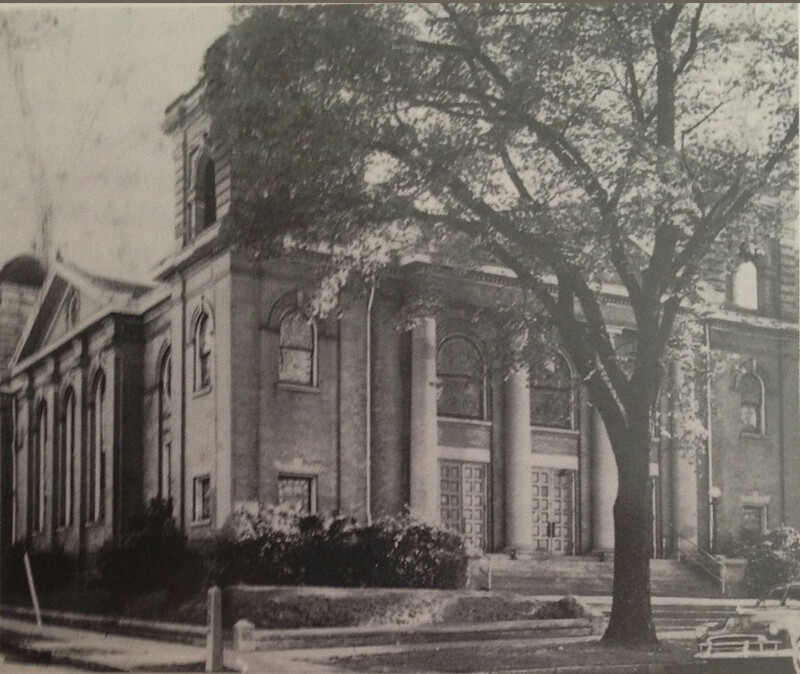 In 1874, with great vision and foresight, and even greater debate, the congregation adopted a Reform ritual and modeled it after Temple Emanu El of New York. The challenge and magnitude of this undertaking faced more than 100 years ago is difficult to fully comprehend. This change required both courage and sacrifice by our founders to meet the challenges of their time. The dedication and commitment they gave to Kahl Montgomery still exists in today’s members, many of whom are descendants of the founders. 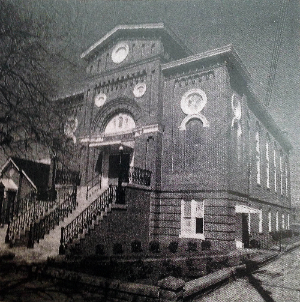 By 1901, the Jewish population of Montgomery had significantly increased and the decision was made to build a new synagogue. On June 6, 1902 a new house of worship at the corner of Sayre and Clayton was dedicated. In 1933 Rabbi Eugene Blachschleger assumed the position of Rabbi. During the war years the Temple was host to many servicemen and women stationed at the local Air Force bases. In 1949 the Temple Sisterhood was formed with 197 members and annual dues of $1.00. As they continue to be, they were an essential element of congregational life. The Temple Gift Shop was established by the Sisterhood and continues to be a source of Judaica for the congregation and visitors. Again, Montgomery and its Jewish population grew and prospered beyond the fondest hopes of their founders. This further growth and progress challenged its members to begin construction of a synagogue commensurate with the current and future needs of its members. They decided to build a new Beth Or, which in its beauty and design would be an appropriate testimony to the determination to keep pace with the progress being made by Montgomery and its Jewish population. Land was purchased in Old Cloverdale, a Montgomery neighborhood listed on the National Registry of Historic Places. 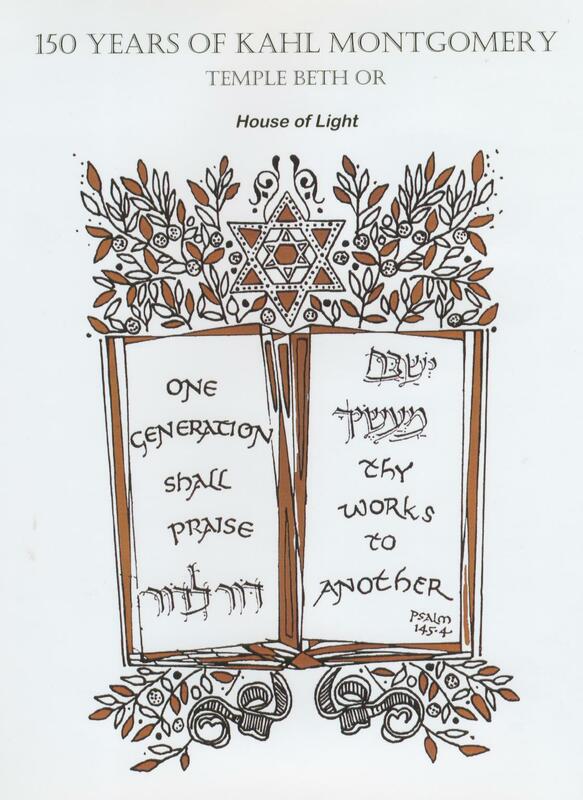 In 1961 our current house of worship at 2246 Narrow Lane Road was dedicated as an everlasting witness of the devotion to our heritage and to ensure the religious welfare of the Montgomery Jews of tomorrow. 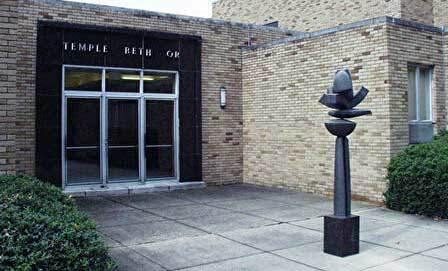 In 1965 Rabbi David A. Baylinson was elected by the congregation after the untimely death of Rabbi Blachschleger. During Rabbi Baylinson’s nearly 30 years with the congregation, Bar and Bat Mitzvah ceremonies were re-instituted and the prayer books Gates of Prayer and Gates of Repentance were introduced. In 1988, the congregation again sought to plan for the future. A comprehensive plan was written and initiated which would completely renovate and update our facilities. The entrance to the sanctuary, the religion school wing, grounds and social hall were all renovated and a permanent, growing Building Fund established for future contingencies. Rabbi Baylinson retired in 1994 and was given the title of Rabbi Emeritus by a congregation grateful for his years of leadership. Subsequent rabbis helped guide the congregation spiritually and through numerous programs and outreach available to both the congregation and community. Rabbi Elliot L. Stevens assumed the post of Rabbi in July 2007, and provided spiritual leadership until his death in June of 2017.